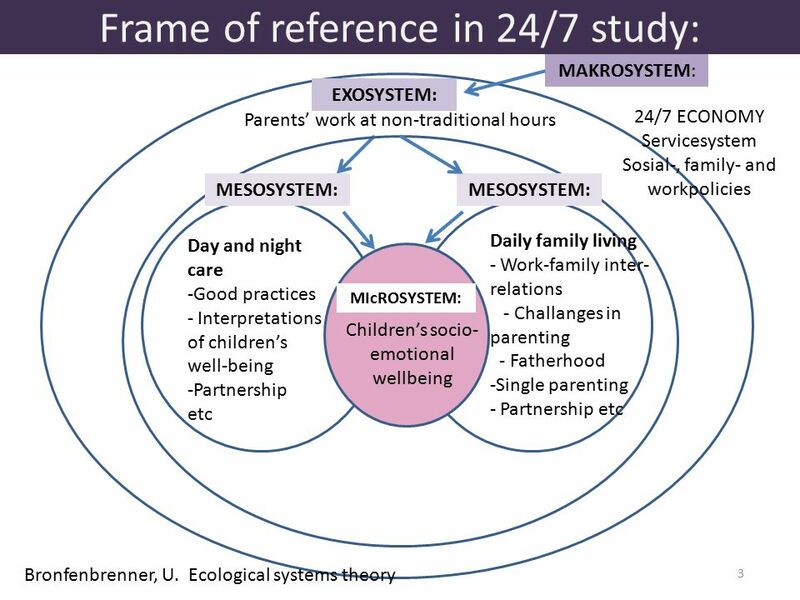 Children’s socio-emotional wellbeing and daily family life in a 24-h economy. 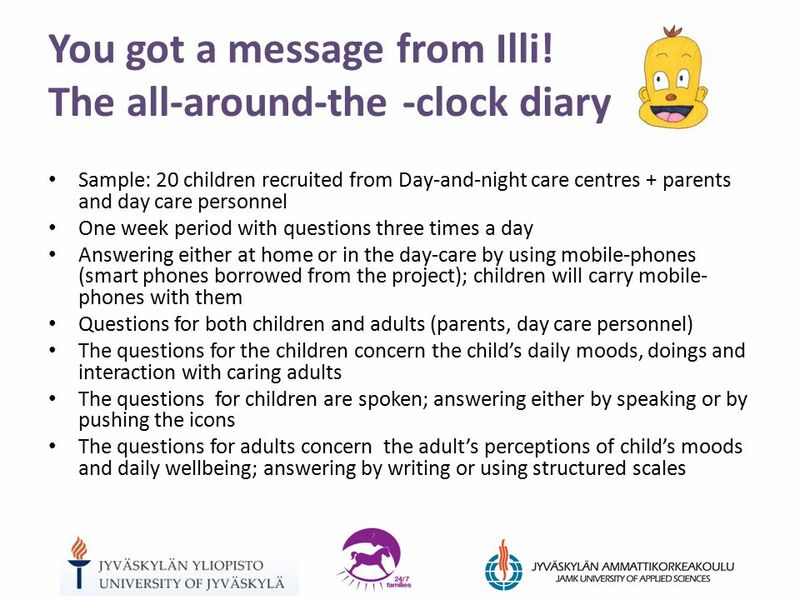 11 Message from Illi! 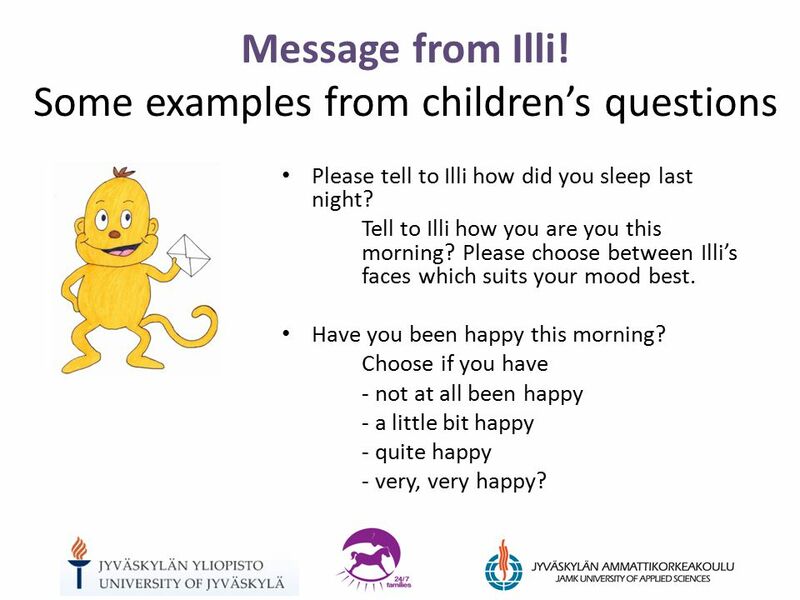 Some examples from children’s questions Please tell to Illi how did you sleep last night? Tell to Illi how you are you this morning? Please choose between Illi’s faces which suits your mood best. Have you been happy this morning? Choose if you have - not at all been happy - a little bit happy - quite happy - very, very happy? 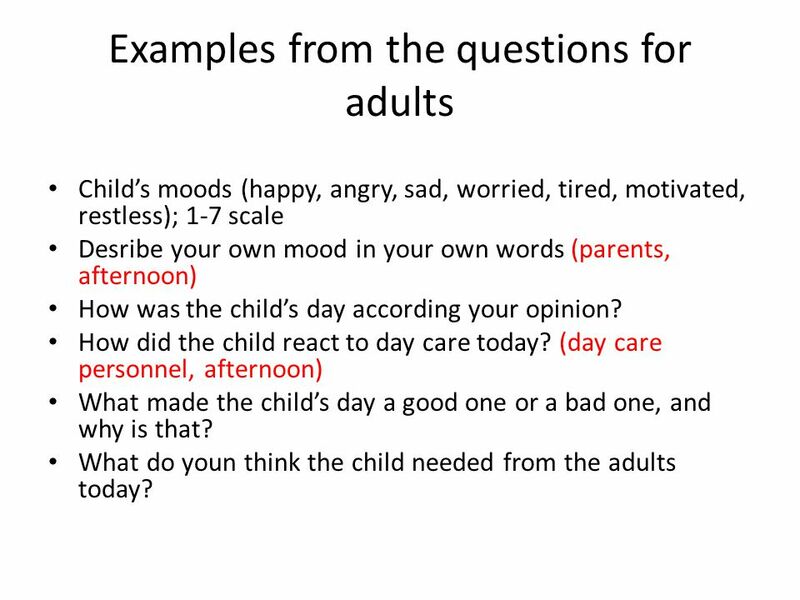 13 Examples from the questions for adults Child’s moods (happy, angry, sad, worried, tired, motivated, restless); 1-7 scale Desribe your own mood in your own words (parents, afternoon) How was the child’s day according your opinion? 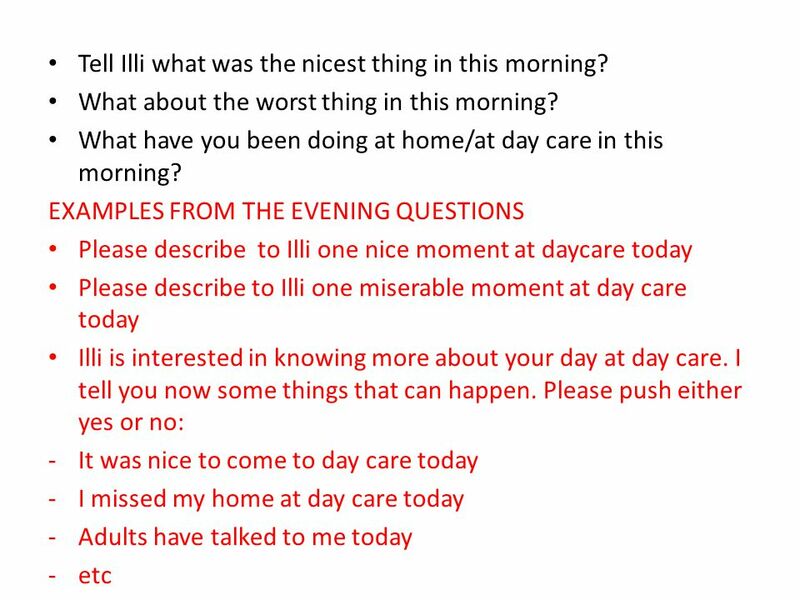 How did the child react to day care today? (day care personnel, afternoon) What made the child’s day a good one or a bad one, and why is that? What do youn think the child needed from the adults today? 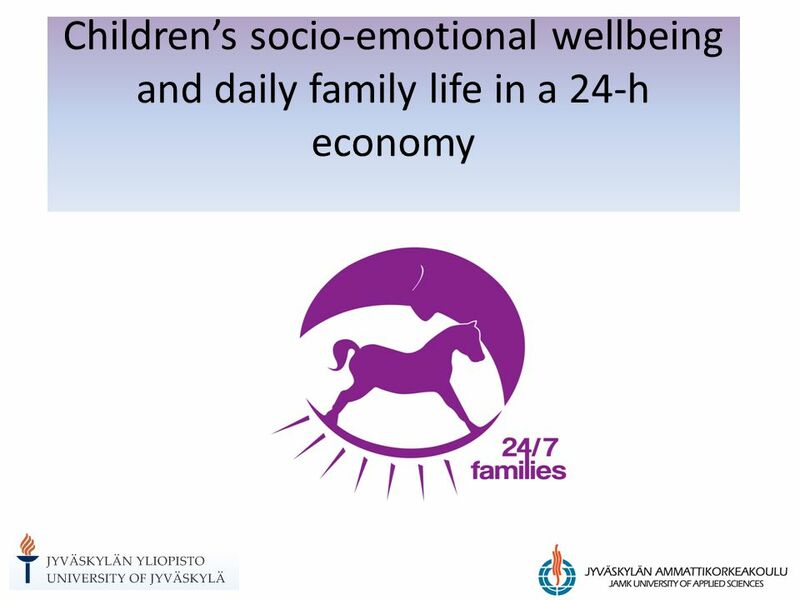 Download ppt "Children’s socio-emotional wellbeing and daily family life in a 24-h economy." 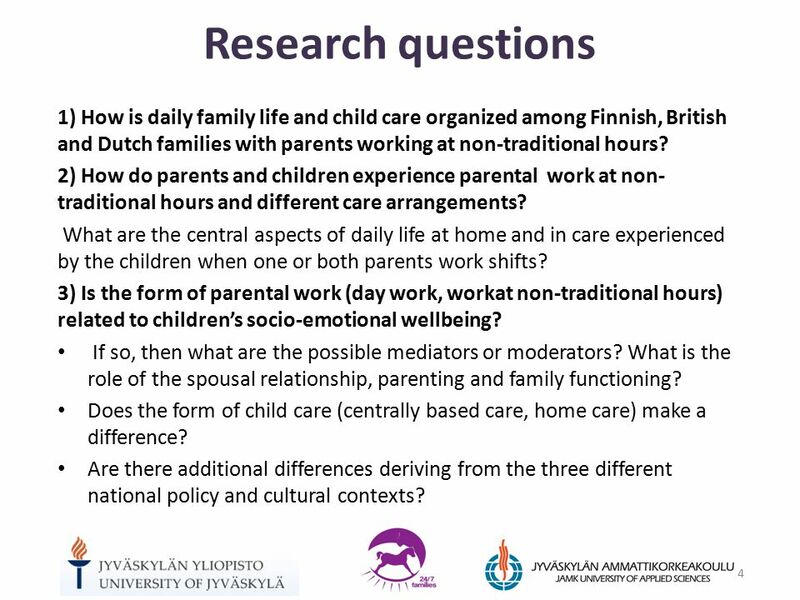 Working Together with Parents Network Welcome. 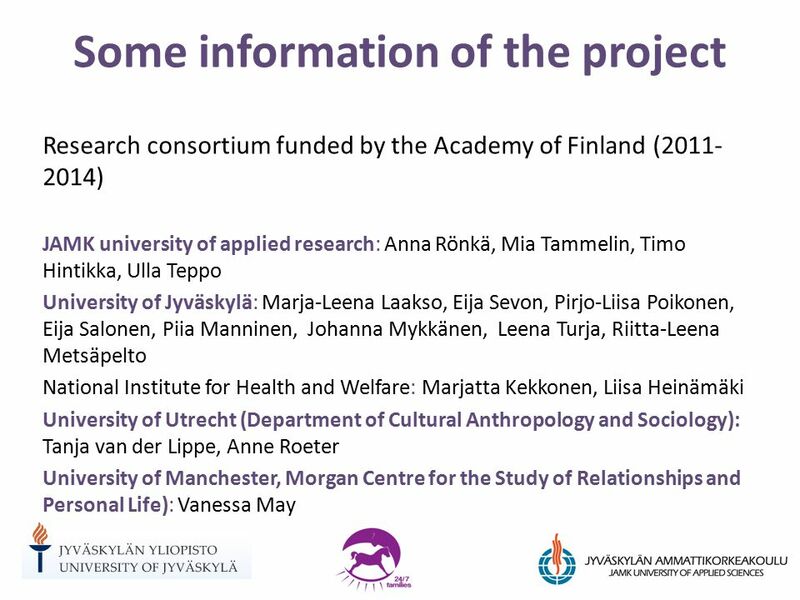 Making Sense of Black and Minority Ethnic (BME) Student Learning Experiences : stories from BME students in a North East University HE Academy Research. Welcome The framework for the inspection of local authority and independent fostering services. MOVING ON UP SUPPORTING CHILDREN’S TRANSITION TO KINDERGARTEN BRIGHT FROM THE START: GEORGIA DEPARTMENT OF EARLY CARE AND LEARNING. Vaughan Primary School Welcome to Nursery!. 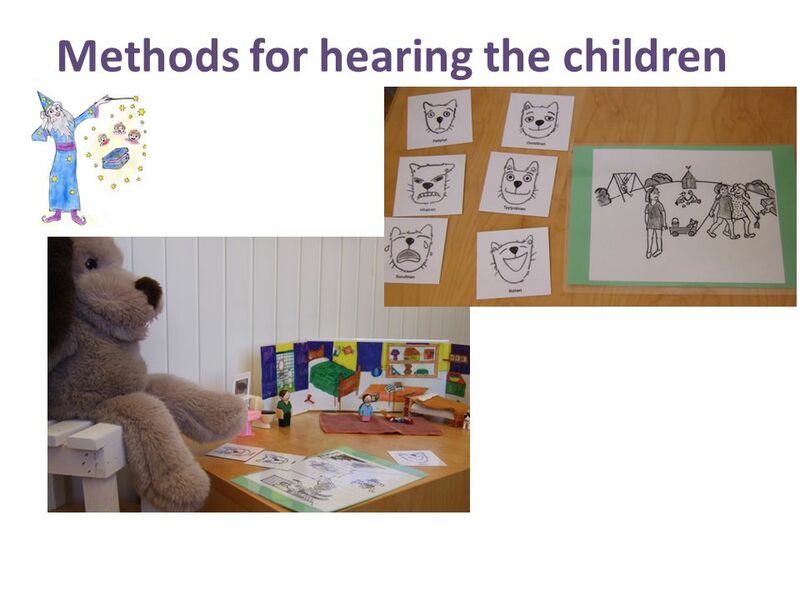 Tonight’s Aims  To inform you about the EYFS and to explain the areas of learning and development  To talk. 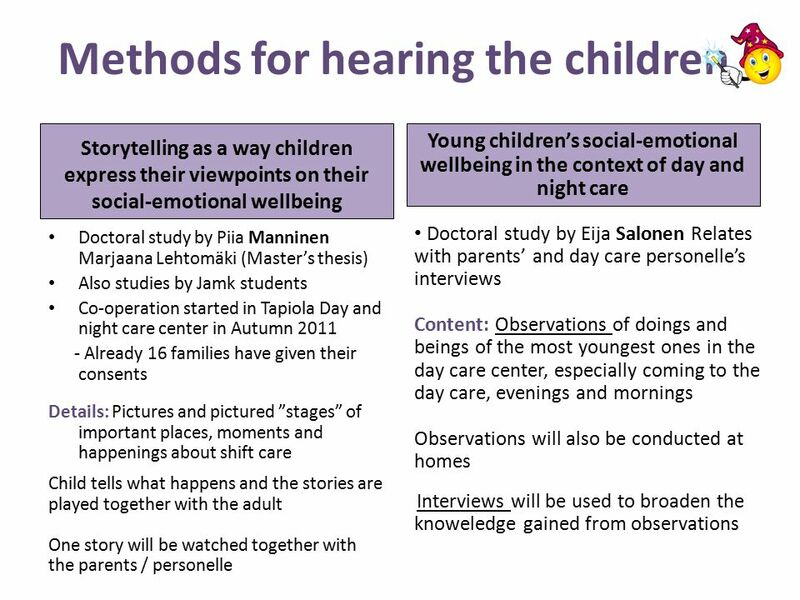 Best Start Conference January Peel Health Great Beginnings Initiative  In 1999, McCain and Mustard’s Early Years Study documented the importance. 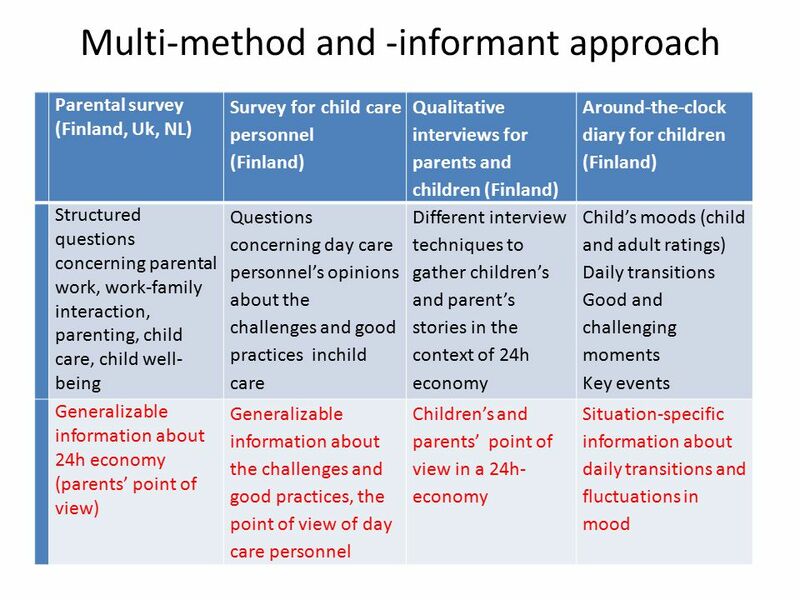 IDENTIFICATION & REFERRAL INTAKE FAMILY ASSESSMENT CHILD EVALUATION FUNCTIONAL ASSESSMENT CHILD AND FAMILY INFORMATION CHILD HEALTH INFORMATION FAMILY.